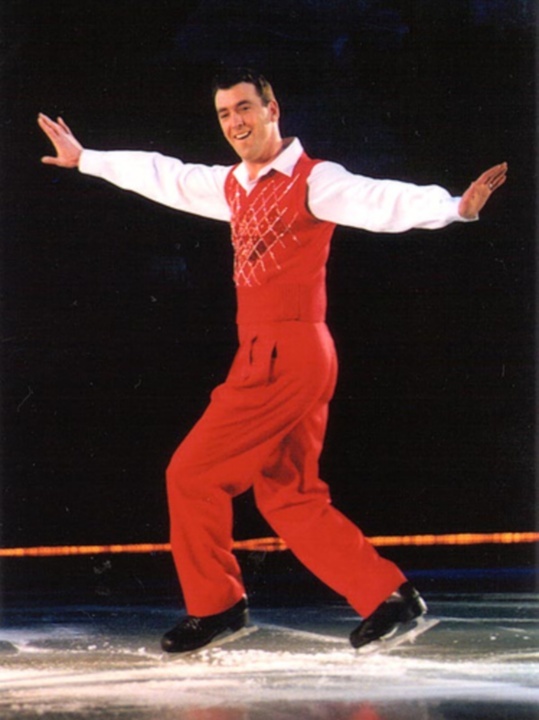 On this day, Blackuary 20, in 1988, Brian Boitano won "THE" Olympic gold medal in figure skating. By "THE," I mean men's singles. And you do NOT want to know how he celebrated, either. "Geez, what da Fuuuuuuuu this got to do with Blackuary?" Because, the gay marriage issue, one of the HOT BUTTON issues of the day in "Progressive" land, is all about some civil rights. Blackuary is all about some civil rights, too, albeit of the protected group kind. You see, the "Progressives" have always had to divide the population into groups and pit one against the other. Such is the nature of their ideology, because the individual does not need their "protections." Only inferior and incompetent people become "Progressive" for the protection of a group. Dr. King even called them on it and a mere forty-three years later, his ideology and movement has been co-opted by those that he loathed. Even Dr. King's luggage boy, Jesse Jackson, has become everything that Dr. King fought against. Why Jesse went to Wisconsin to rail about the "civil rights" of the public school teachers that are making tons more than the average resident in that state. At least, Luggage Toting Jesse delivered one of the better UNION BACKING songs by Charles Albert Tindley, We Will Overcome. Yes, a bunch of my conservative brethren do not know the origin of that song and tried to make it into something other than what it is, because of Dr. King. Back to the topic at hand. Gay folks being the same as black folks and the civil rights thingy. They aren't the same and "Progressives" are attempting to make a lifestyle decision the very same as skin color. In other words, "Progressives" are still damned and determined to oppress the black folks in the United States. And they have been doing it since black folks came to this place. Now, what exactly is the solution here to the gay v. black thingy? That's easy. Everyone decides to become an individual. We associate with those that we choose to associate with on the basis of the ideology and mental acuity of our associates. Freeman made a good point there...but he's still a mule-headed idiot when it comes to home state politics. Sure it is, Boogie, plus he is not one of my friends, either. Great clip. Wallace is obviously taken aback. He's thinking: "But we're doing this for you." Yeah. Right. Many of my old academic friends might say, "But we have good intentions; this will help stamp out racism and raise awareness." That's staight BS and Freeman's observation is the perfect corrective to that.